Rhody Ranch has a hard and fast rule that is non-negotiable: Riders under the age of 18 are required to wear a riding helmet at all times while riding. It’s recommended that all riders wear a helmet while riding. Even in the arenas on the farm that sand may look soft, but falling from a horse and landing on your head even that soft sand is going to feel a lot harder than you think. It only makes sense to wear a helmet while riding. There are trails around the perimeter of the farm that are used for riding. There are also near-by mountain trails not far from the ranch. One of the places we like to visit as a group are the mountain trails in Doubling Gap which is about 20 minutes from the farm. We also take trips to the Gettysburg Battlefield as well as Codorus State Park. There are numerous great trails through the Battlefield along with a lot of history. Codorus State Park offers 8 miles of trails which crosses streams and allows for some fun times swimming with your horse while out riding. Approximately 2-3 miles up the road from the farm toward the mountain you reach the base of North Mountain. There are trails that lead to the top where another trail picks up and makes it possible to ride the mountain ridge going north and south. Occasionally, during the warmer weather, we take a group on a road trip from the farm and ride down Grahms Woods road towards the Conodoguinet creek. Once we reach the creek there are areas where the creek can be entered. At times depending on how much rain we’ve received, the creek can be a little in spots, so plan on getting your legs and tack wet during these outings. There are areas during this particular ride where we have to cross roads – 944 E-W – and because of these intersections it’s recommended that if you’re a new rider that you pair up with an experienced rider, and never attempt this road trip on your own. This includes both Western and English Disciplines. Shows that happen on the farm are Western speed events and Western Pleasure Events. There are normally two shows a year. One in the late spring and one in the early fall or late summer (August/September). 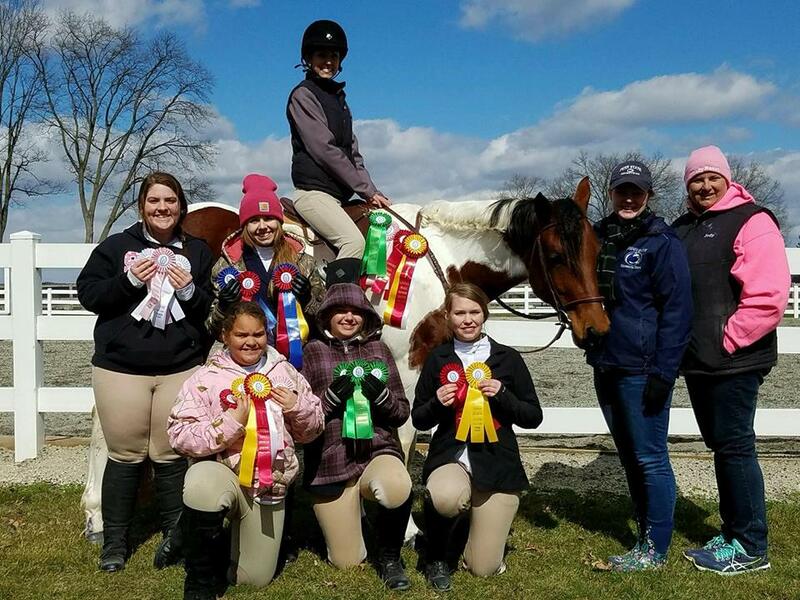 All English riding events are generally handled by and/or organized by Jamie Mitchell, Ashley Francese, or Allison Timko. 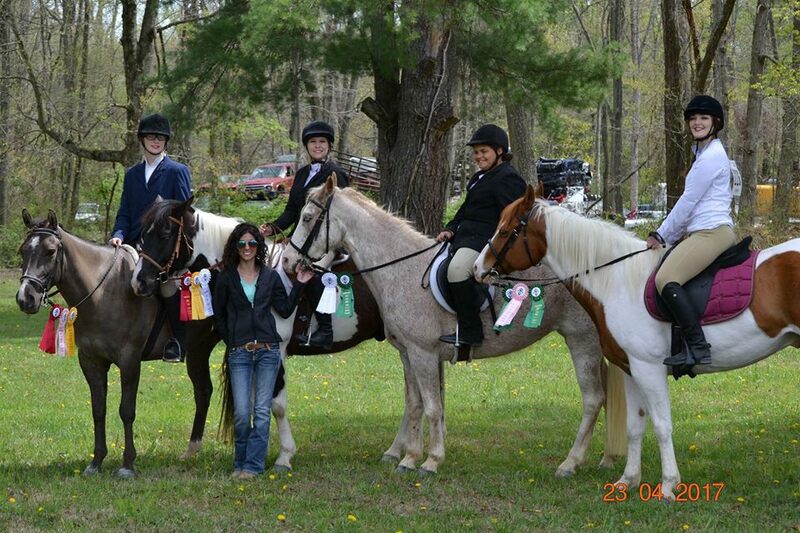 When we take trips with our horses to Elk County we always go as a group and have a real blast. There are miles and miles of mountain trails there and some rather deep spots on the river that runs through those mountains. Great places to take the horses swimming. Elk County and Codorus State Park are two of the most favorite spots to take the horses for a swim. There are other spots as well, but these are two of the Barn’s favorites. Horses are terrible swimmers, but its still fun for horse and rider to wade into the water on a hot day and get cooled off. You’ll know right away if your horse really enjoys the water by the amount of pawing and splashing they do once in the water. Some like it so much that they’ll go for a roll with the rider still in the saddle, so if you have one prone to roll around in the water you’d better be ready to get soaked! We have trail challenges both on and off the ranch. Most horse stables in the area where the Western discipline in the primary type of riding done have these at some point in the year. They’re a lot of run and really show off the relationship between horse and rider as well as just how confident both are. They’re called a challenge for a very good reason and not because they’re easy. For those unfamiliar with what these are, they are literally trails setup with obstacles for the horse and rider to navigate through, and around. Some are timed whereas others are not; but they are challenging. Even for experienced riders. Something as simple as riding up to an umbrella hanging from a post, picking it up while mounted, opening the umbrella and riding for a short distance to place that same umbrella back onto the a post has the potential for causing the horse to spook. Crazy you say? Perhaps, however the more things you and your horse are exposed to the more confident both are which builds trust between horse and rider. That relationship is the very foundation between horse and rider. Trail Challenges can be scary, but when you get through one without your horse having a meltdown or giving you a hard time because it’s scared you’re left with a sense of accomplishment that is second to none. Both for your horse and yourself. uire a great deal of skill and concentration and are not for the novice rider or horse. Both horse and rider must be well disciplined and well practiced. Not to be confused with the activity of cutting, Cow Sorting is more akin to an activity that happens on cattle ranches on a regular basis for a variety of reasons. Cow Sorting is an event where a group of cows wearing numbers are brought into a closed space and a pair of riders and their horses work together to sort or move a particular cow from the group – depending on the number called – away from the group. This is not a normal behavior for most horses, and in fact, some horses are terrified of cows. However, these days many Quarter Horses have Cow Horse in their blood-lines. Sometimes this is referred to as cow-sense. These horses take to Cow Sorting quite well and excel at it. Clinics can be directly related to horsemanship, but not always. Many times they are held or attended as a way to gain more knowledge about new products in regards to your horses health, or the proper way to fit a saddle. Recently, there was a clinic held at an area ranch where there were quite a few veterinarians who gave talks and presented some very good information on the equine digestive system. It was extremely informative. This was a very valuable event to sit in on; especially for new horse owners. We like to take time, now and then, set aside some time during the summer months to get together as a group just to have fun, cook and share food together and just relax together. and flashing lights and all those people without the horse spooking is such a rewarding experience. 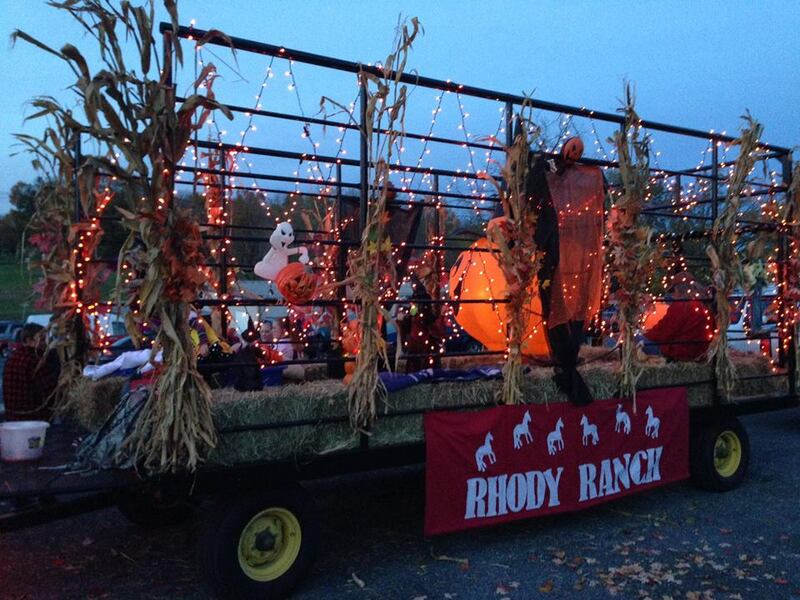 There are two seasons Rhody Ranch really enjoys celebrating together: Halloween and Christmas. Each year there is a Halloween party held at the ranch for all boarders, their family and friends they’d like to bring. 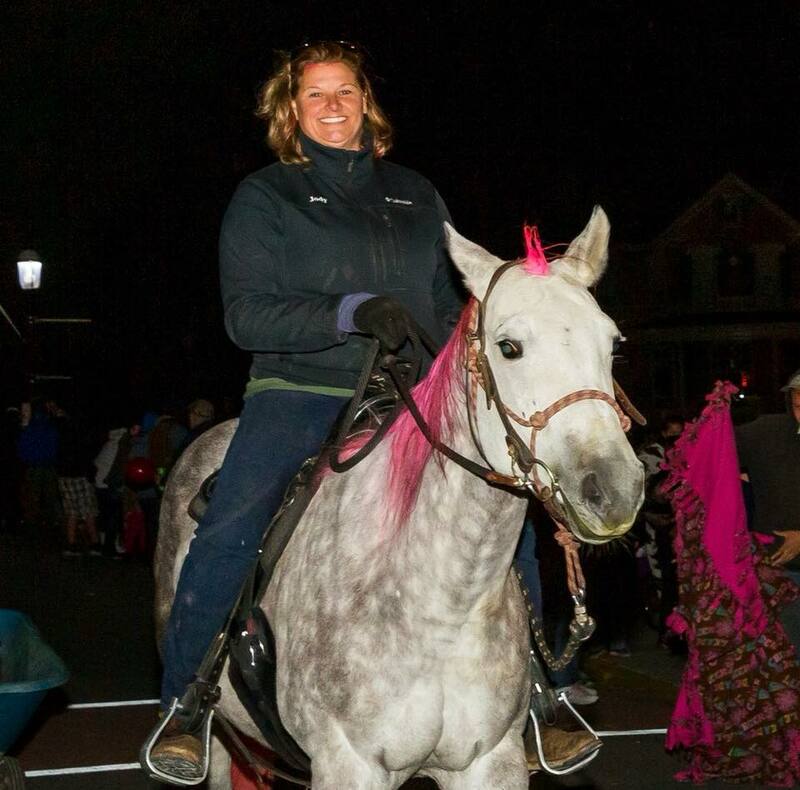 These are held outside and include hay rides for the kids and adult beverages for the adults. There’s always a large iron steaming pot of Chicken Corn soup that is made for the party. The Rhody Ranch Christmas party is typically help the second week of January so as not to conflict with what so many are very busy doing with their families. We don’t have these often, but when we do they are always fun. We just take some time to get together with some adult beverages, sit around a very large fire, tell tall tales and just generally have a good time together.